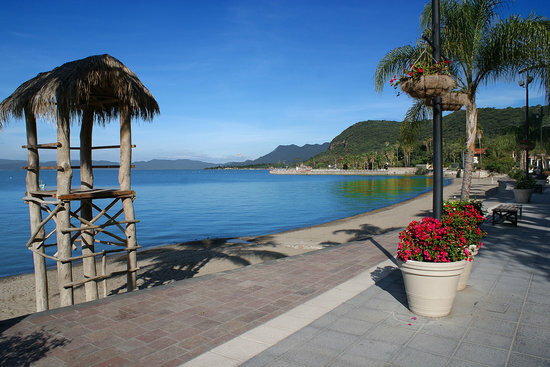 Ajijic, a small idyllic town in Mexico, is the perfect setting to enjoy a quiet and relaxing holiday. Enjoy a night of lively music in the plaza of this picturesque town or enjoy a stroll along the lakeside path. Visit the colorful Chapala handicrafts market, or relax and enjoy lunch and a beautiful view at the Beergarden restaurant by the pier. If you’re traveling with children, take them to Christiania Park, right next to the market. At the park, they can play on the expansive lawn or on the playground. Take a day trip to the Casacadas de Agua, a favorite spot with the locals and a great place to spend with family. Climb the waterfalls or swim in sparkling pools at the base of the falls. Find a shady spot to enjoy the lunch you packed at your holiday rental or try a local delicacy at one of the many small restaurants in the area.